February 5, 2018 – Crocs, Inc., a global leader in innovative casual footwear for women, men and children, today announced the worldwide debut of its Drew Barrymore ♥ Crocs Color-Block Collection. The line, which includes special-edition footwear styles for women and children, was designed in partnership with Drew Barrymore, an ambassador for the brand’s “Come As You Are” campaign. 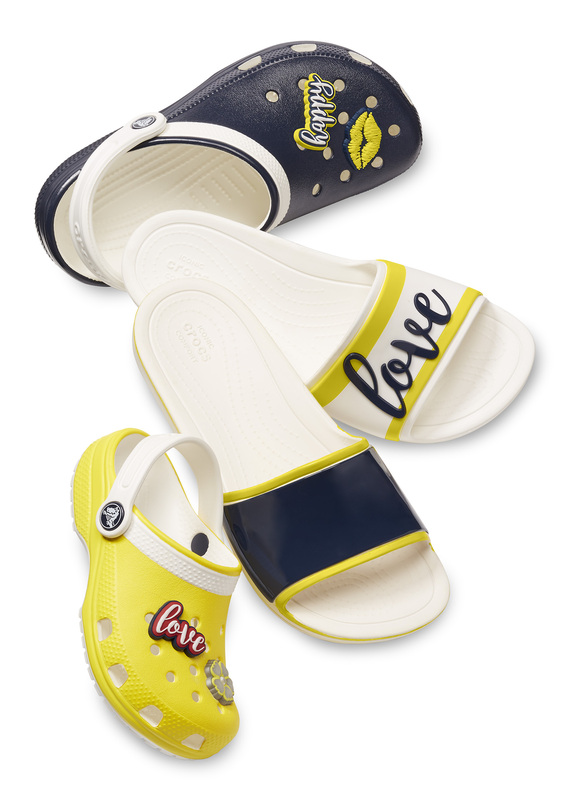 Featuring fresh combinations of white, navy and yellow and custom-designed embellishments, Color-Block links the bold look that consumers love about Crocs with design touches that speak to Barrymore’s personality and style. The exclusive collection is available on popular Crocs silhouettes, including the Classic Clog, the Crocband™ Clog and the Crocs Sloane Slide. Crocs is also thrilled to welcome Barrymore back as one of three ambassadors for the evolution of its “Come As You Are” campaign in 2018. Anchored in optimism, versatility and comfort, “Come As You Are” celebrates uniqueness and individuality, and, most importantly, what it means for everyone to be comfortable in their own shoes. Starting at INR. 3200, this exclusive collection is going to be available online on www.shopcrocs.in.